Next-generation fully flexible electronic systems in combination with existing flexible components such as display, memory, and LED. While mobile phone technology has improved dramatically in the last five years, one element has not seen any radical change. The batteries that power our devices have not increased much in capacity, and they are also inflexible in shape – meaning so many phones keep the same basic rectangle shape. Scientists from the Korea Advanced Institute of Science and Technology hope to change this, after developing a flexible battery that can be bent and twisted – giving the possibility that phones of the future could be flexible and hold more capacity. The team, led by Professor Keon Jae Lee has developed what they call the ‘high-performance flexible all-solid-state battery’, which is stable enough to power our phones while still remaining stable. 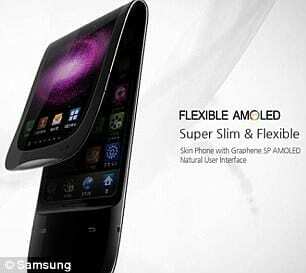 Companies such as Samsung have shown prototypes of flexible displays before, with production models expected next year. This opens up the possibility that phones – and other devices such as tablets or e-book readers – could be folded in half or rolled up for easy storage in your pocket. But without a flexible battery, phones will still stay rigid.